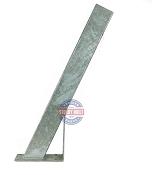 This hot dipped galvanized winch seat is perfect for quick an easy replacement of your worn or broken winch seat. Able to fit on a 2 wide or 3 wide winch post (not included). 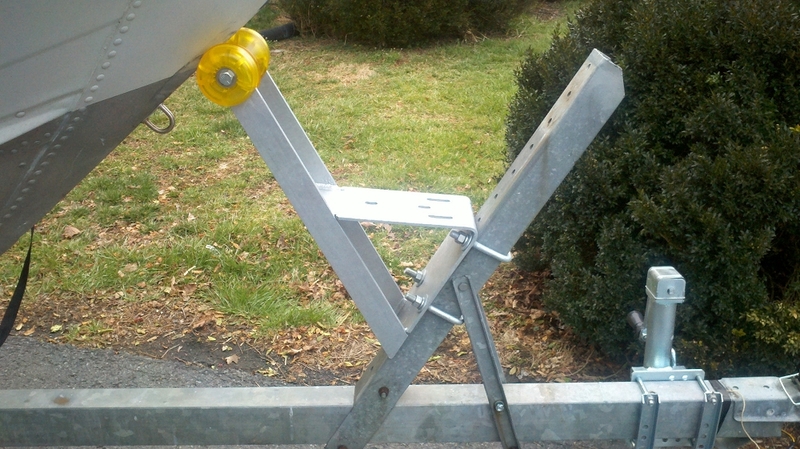 This boat trailer winch seat also has multiple holes to fit many styles of winches. Also included with this winch seat is a 4 bow roller and end caps. 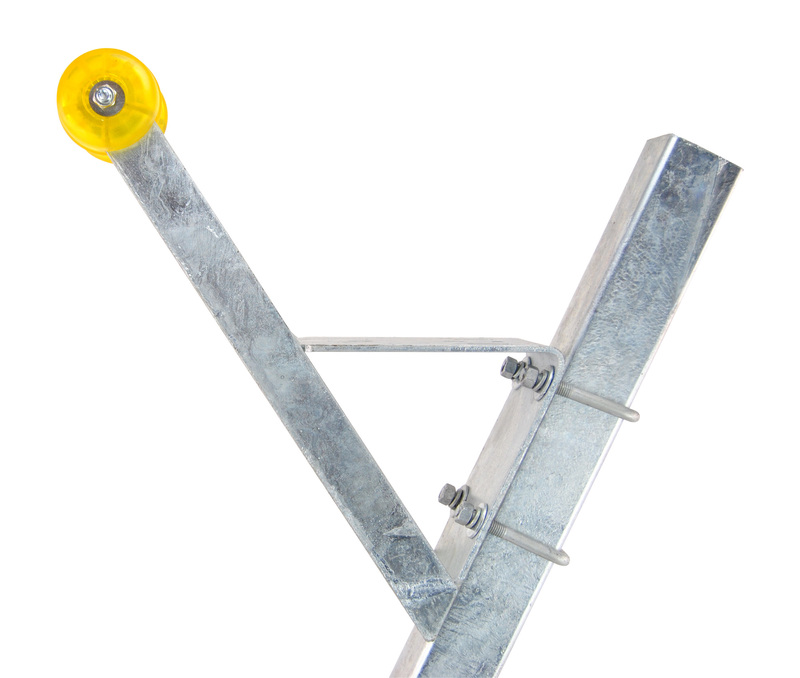 The poly roller and end caps are held securely to the winch seat with a stainless steel bolt. 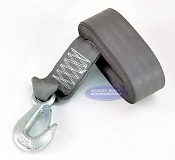 This particular Boat Trailer winch Seat mounts to angled Boat Trailer winch Posts. You can view the options in this same Category. 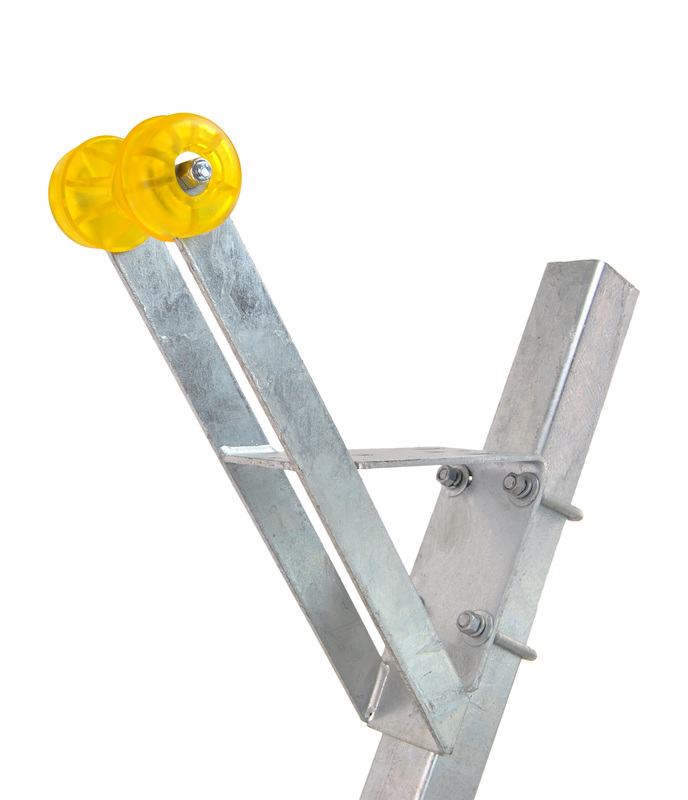 You would Mount this Winch Support to the Winch Post with (2) 1/2" Diameter U Bolts that measure 2 or 3 inches Wide. The Width and length of U Bolt Used to mount this item would depend upon the dimensions of your Winch Post. A 2" Wide by 3" Wide Winch Post would need (2) Galvanized Square Ubolt 1/2 inch x 2 1/16 inch x 4 5/16 inch U Bolts. A 3" Wide by 3" Wide Winch Post would need (2) Galvanized U-Bolt 1/2 inch x 3 inch x 4 5/16 inch Trailer U-Bolt U Bolts. This was exactly as described. Very sturdy and well built. I would highly recommend this to others. Using standard shipping it came sooner than I expected..
Great product...great communication...and a great seller. We will do business again. I'm building a new boat slide and have ordered several items including this winch seat. I'm amazed at the shipping speed, the quality of the galvanized steel. the selection of various items including rollers, etc. and at really good prices. I'm so glad I found this site. As described, top quality product. Always buy from Sturdy Built. Heavy heavy duty winch seat. Mounted easy and looks very durable. Highly reccomend this to anyone looking! I needed to update my trailer with a winch seat that would have a "seat" large enough to mount an electric winch. I took a photo of my winch post, emailed it to Tim who reviewed and said this would work as long as I could move either the post up or the boat back slightly. He determined all hardware that I needed and I had the bracket a few days later. Exactly what I needed. Great service, I'll always check at Sturdy Built for trailer parts first! I have to say I normally don't do reviews but I must say that this thing is built tough. I have a trailer that was only used twice a season, once to take the boat to the lake the other to bring it back at the end of the season. I trailer alot and needed to make this trailer more user friendly and this was one of many upgrades. was able to drill my own holes and it holds the boat tight. This is a strong,sturdy built unit and fits onto my winch stand no problem.I installed a electric winch on this seat with 2 bolts and had a concern that it would be strong enough. It works great and no problems.